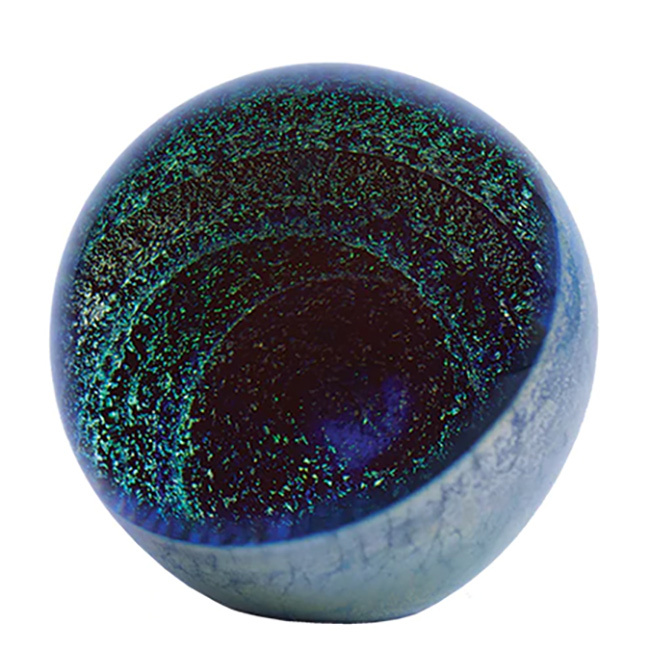 Exploring the hypothetical shortcut through space and time, this Glass Eye Studio Special Edition Paperweight examines the possibility of traveling the universe at the speed of light. Although not yet observed by astronomers, Einstein’s relativity equations have valid solutions that suggest their existence. This visual interpretation adds depth to a wealth of fictional speculation, from Madeleine L’Engle’s A Wrinkle in Time to Stargate.